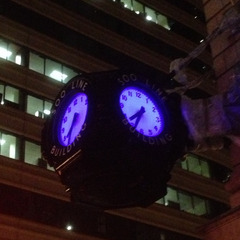 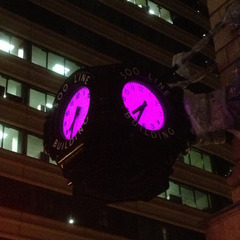 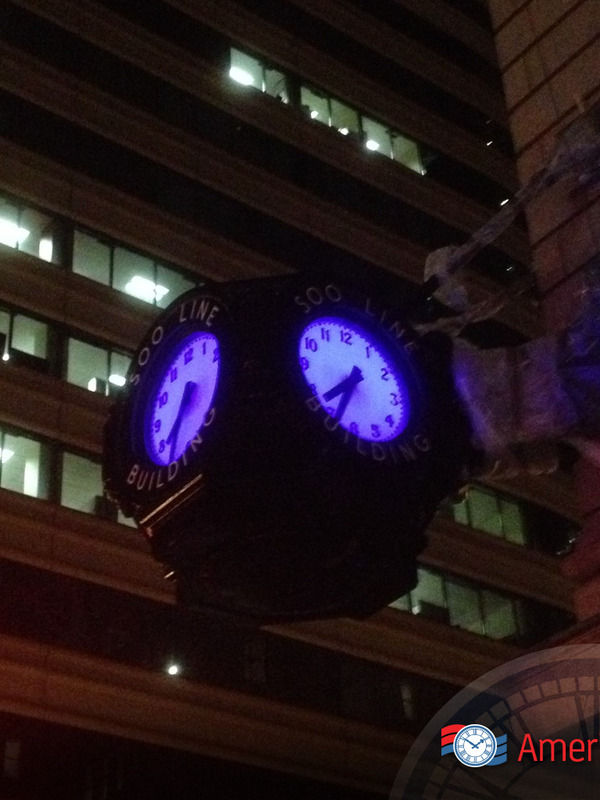 This three-sided exterior bracket clock is mounted to project from the corner of a building. 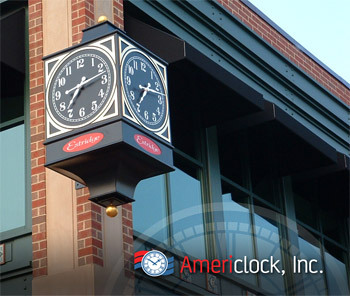 Americlock builds large custom exterior bracket clocks, also known as projecting clocks, for installation on the sides or on the corners of buildings. 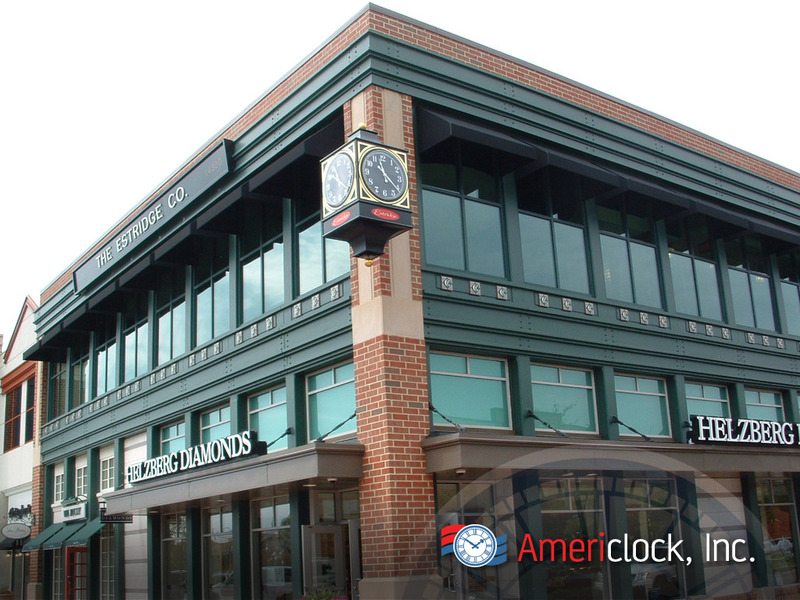 These time pieces typically have one to four dials within the body of the clock and can be internally illuminated, displaying a business name or logo on the clock dial. 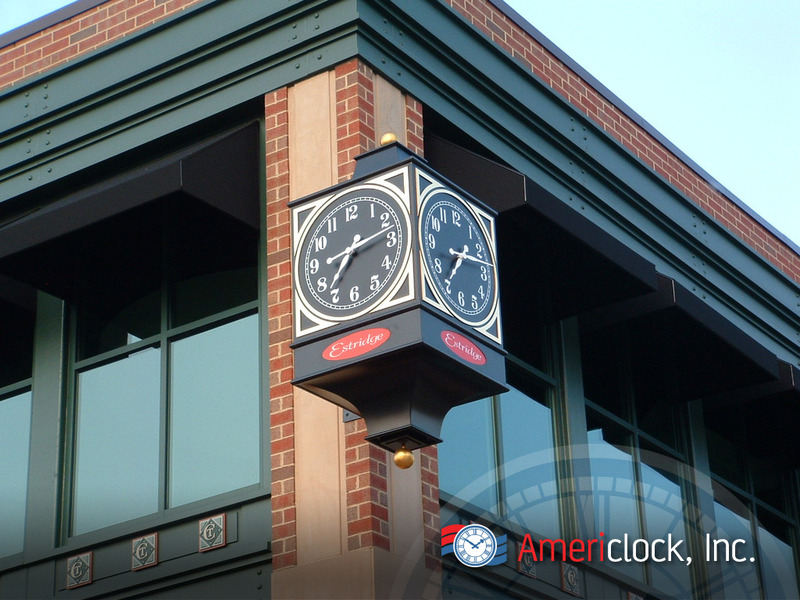 Our interior and exterior custom bracket clocks are ideal for creating an attractive focal point for your business or building. 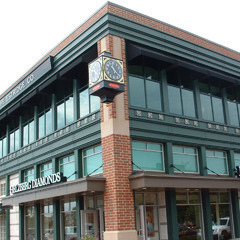 They are great way to catch the attention of the public and can help attract customers to your establishment. 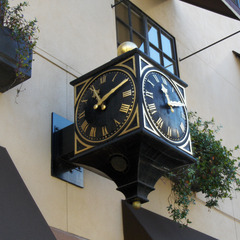 A variation of custom bracket clocks is known as “suspended clocks,” meaning that they can be hung with one central rod or a cable in a large lobby (typically in hotels, schools, universities, businesses, airports, or train stations) from an overhead anchor versus a typical three or four sided clock with side mounting. 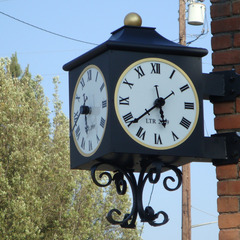 These large bracket clocks shouldn’t be confused with the small portable table clocks of the 1800’s. 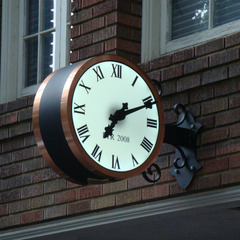 Sidewall bracket clocks: These are typically mounted on a flat surface and feature a three sided clock face. 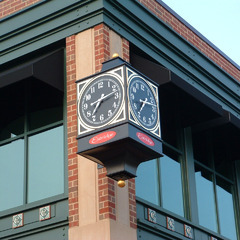 Corner bracket clock: These clocks are installed on a corner and can feature three OR four clock faces. 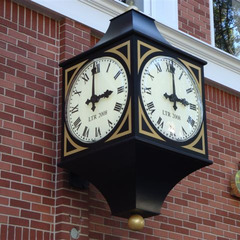 Pedestal bracket clocks: These clocks sit squarely on top of a pedestal instead of being mounted from above or any one side. 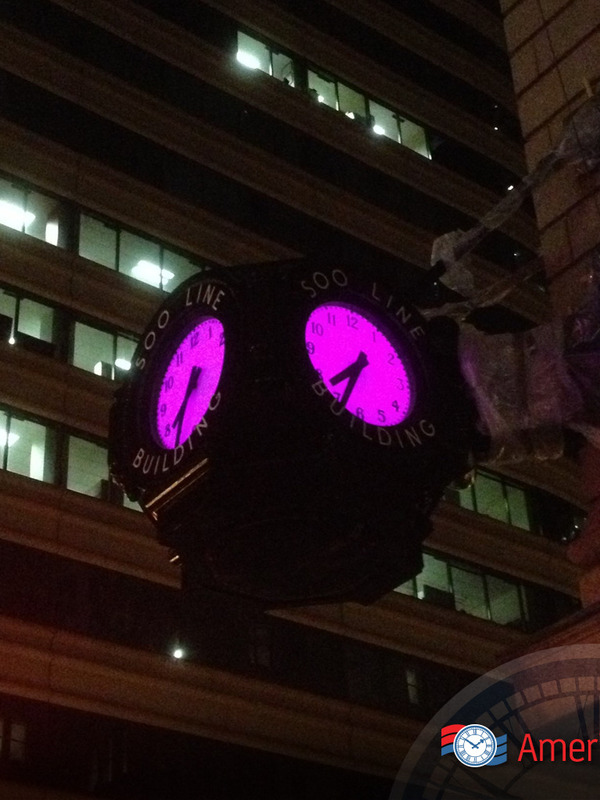 This installation approach not suited for very high installations as it can make reading the time difficult. 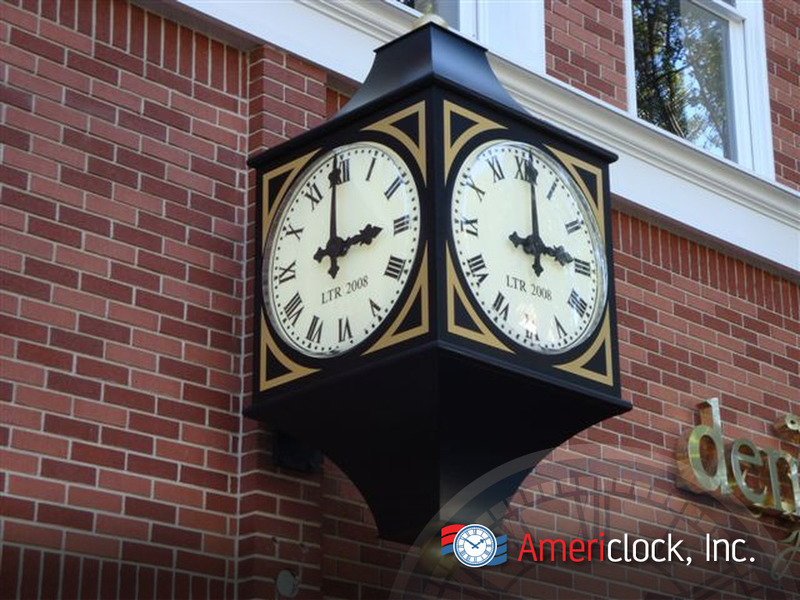 Suspended bracket clocks: As the name suggests, these four sided clocks are hung from a central suspension rod or anchor point and more common in locations with low to moderate ceiling heights. 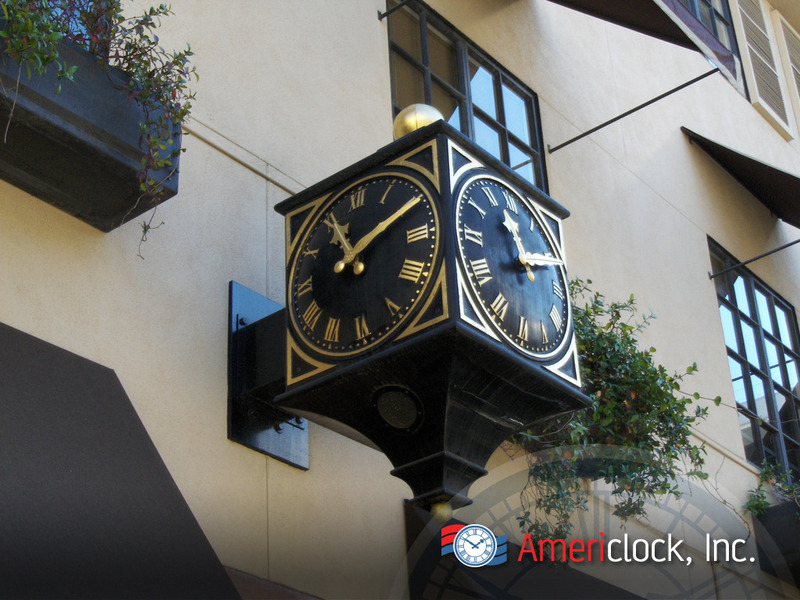 Specially built for each application, your bracket clock can be installed on a corner of a building or we can even build you pedestal-mounted or wall-mounted frames to compliment existing architectural facades. 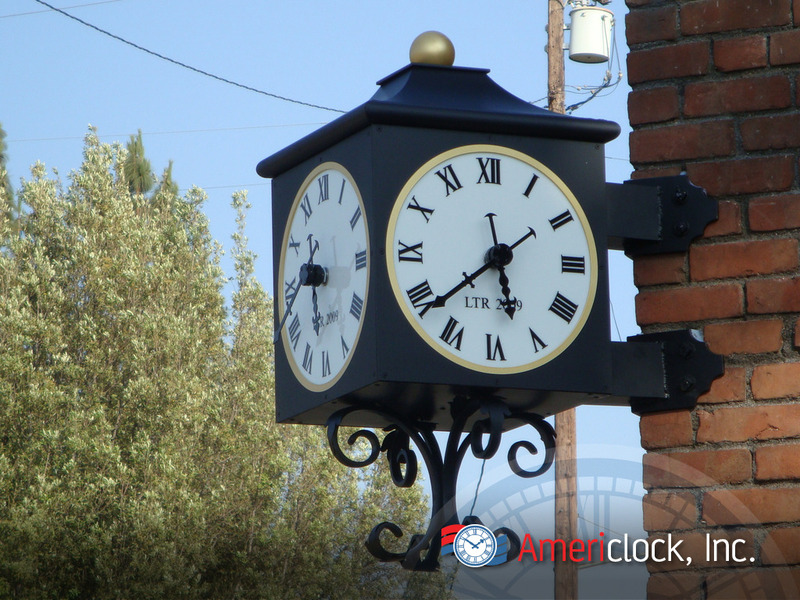 Whether you’re looking for a traditional or a more modern approach to a bracket clock, Americlock can provide you with both antique and modern treatments on the protruding clock structure as well as for the dial faces and hands. 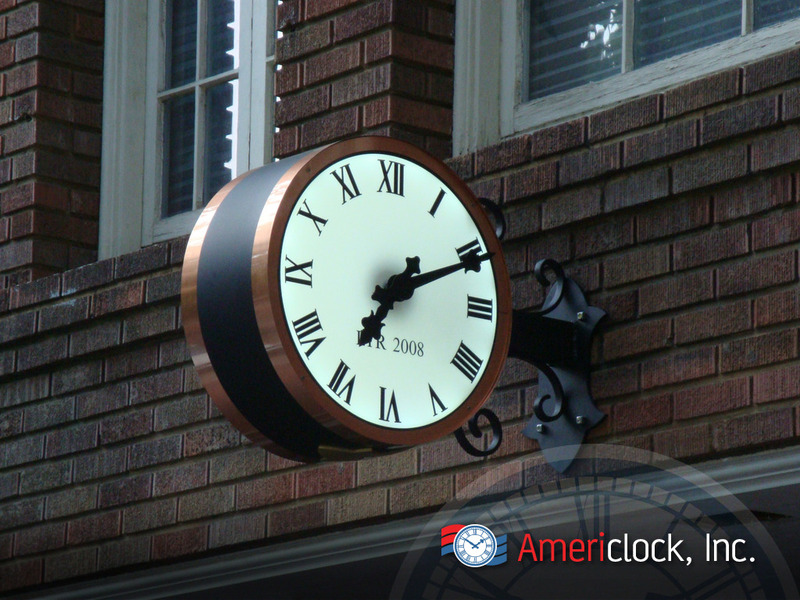 Our technicians can install custom bracket clocks for you or you can mount the clock where you have ample structural support (as they do rely on a strong surface since often there are fewer anchor points when compared to wall clocks, especially since they “hang” off of buildings).